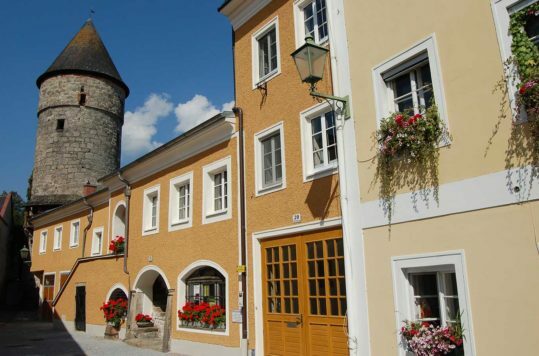 Check out these hidden gems in Austria that you probably didn’t know existed. To see some of these sights you have to leave the beaten path to find, while others you might even have passed without noticing. Exploring and discovering new things makes your holiday itinerary much more interesting than just following the flow. They might demand some searching and even better, trotting of the beaten path. 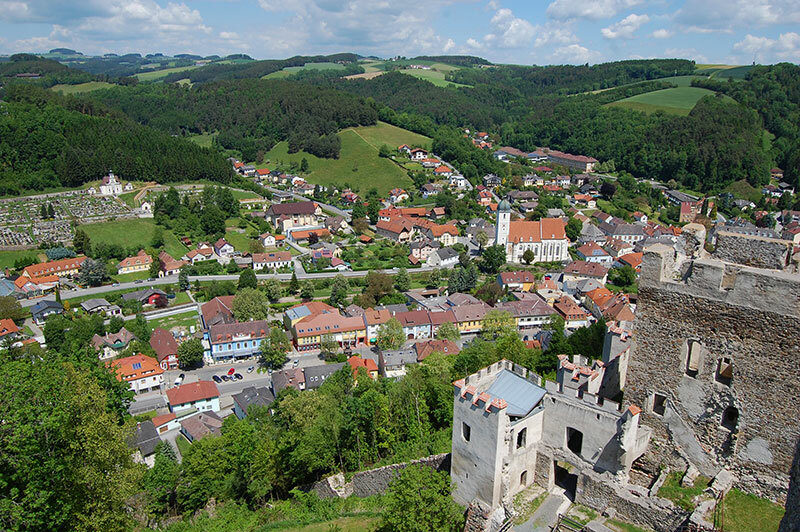 Nonetheless, we want to point you in the direction of a few hidden gems in Austria, which are often overseen but well worth the trip. One hidden gem is found in the 1. District of Vienna. 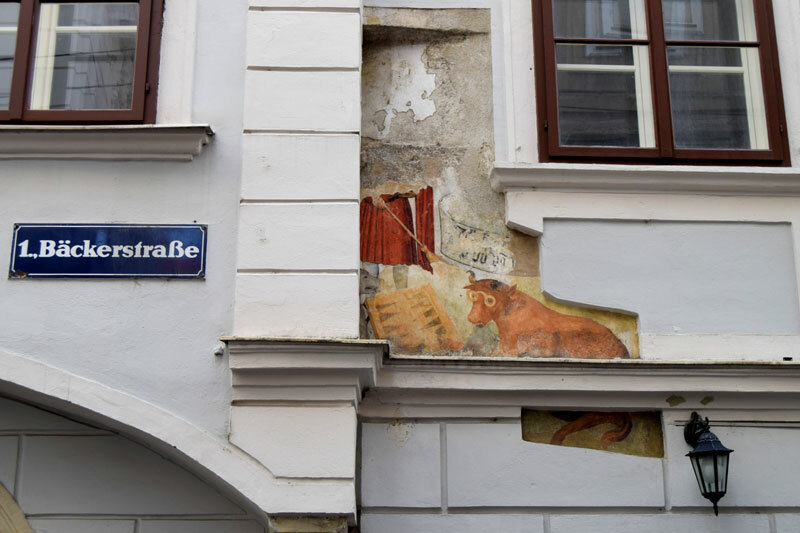 The mural of a cow wearing glasses playing backgammon with a wolf is thought to be painted in the 17th century. Although there have been many different interpretations over the centuries, the lasted is that this is a satire on Protestantism. To see it you have to look up on the wall, above the ground floor at Bäckerstrasse 12. 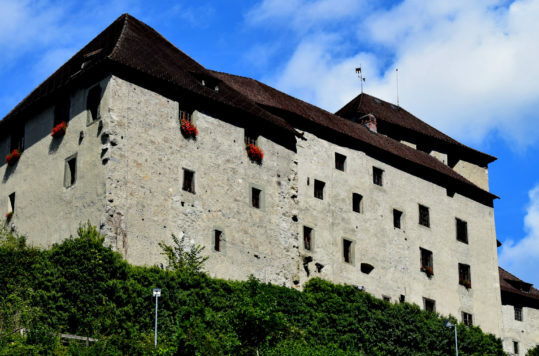 On a former farm, the Letzenhof in the hills above Feldkirch, Buddhist monks have established a monastery. The first monks came as refugees from Tibet in the 1960’s. You are welcome to pass by, stay in the temple for quiet meditation or ask a monk for information on Buddhism in general. 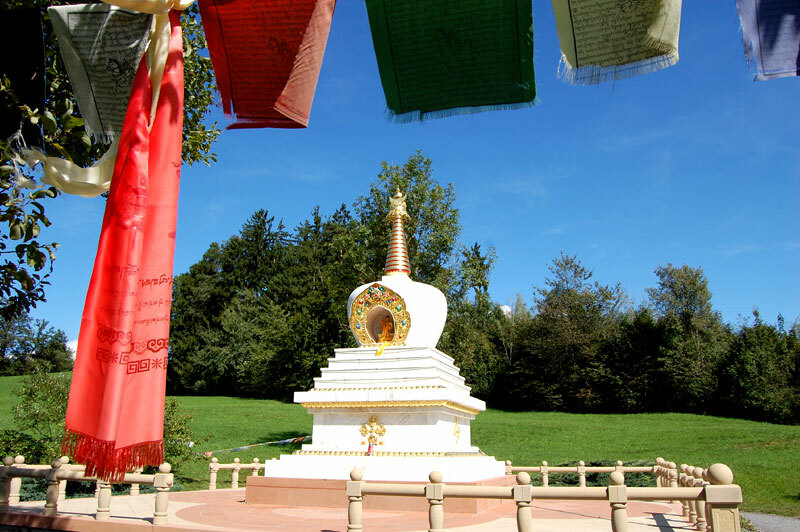 The Stupa and the prayer flags which you most likely have seen in the Himalayas, don’t even look out of place in the mountainous landscape that surrounds the monastery. The Tashi Rabten Buddhist Monastery is a hidden gem of serenity and a great place to take a time out. 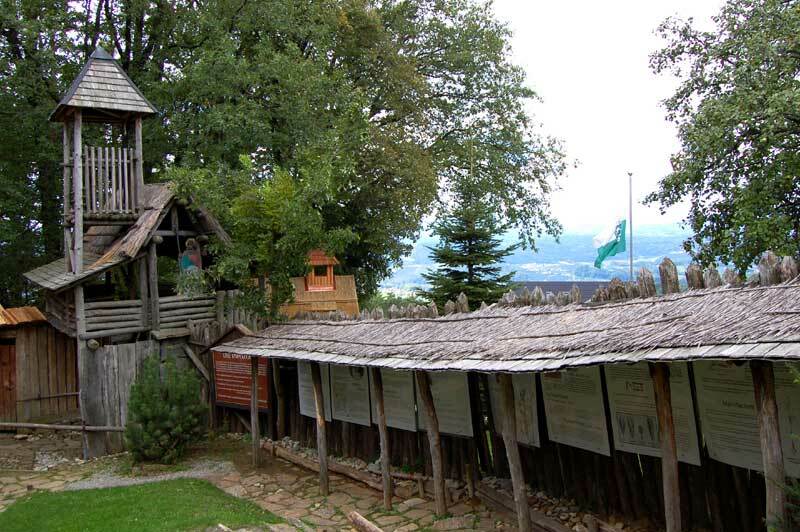 In the hills near the small town of Weiz in eastern Styria you can travel in time back to the Iron Age and visit a Celtic Village. Around 450 B.C. Celtic tribes started to settle down in what today is Austria. 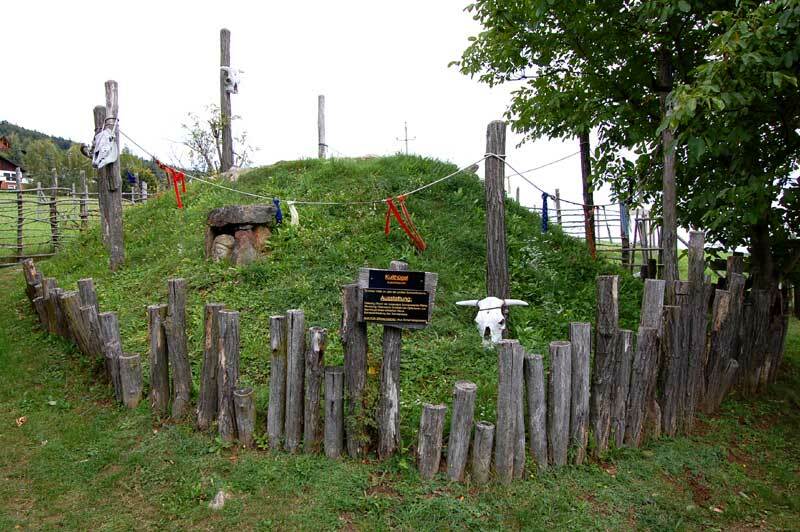 Numerous archeologic excavations have revealed how they lived. 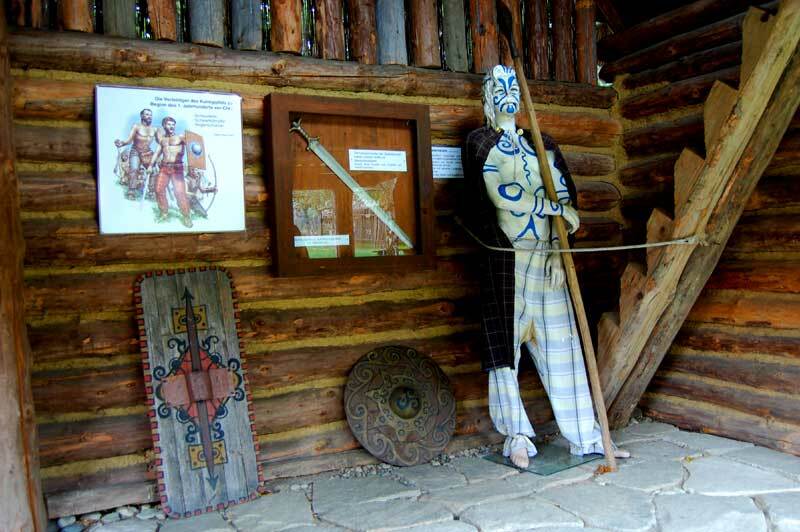 The reconstruction of a Celtic Village in Styria gives you an insight in the life of the Celts over several centuries. 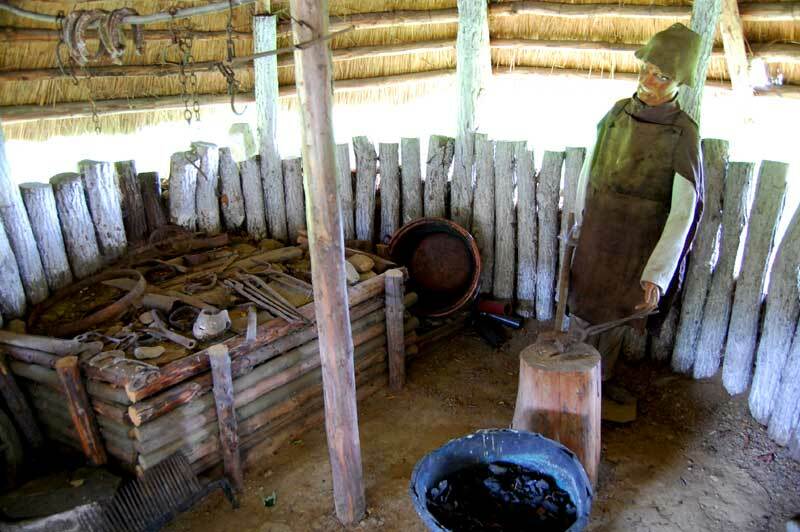 Surrounded by wooden palisades 10 houses including life-size figures show you glimpses of daily life in the Iron Age. 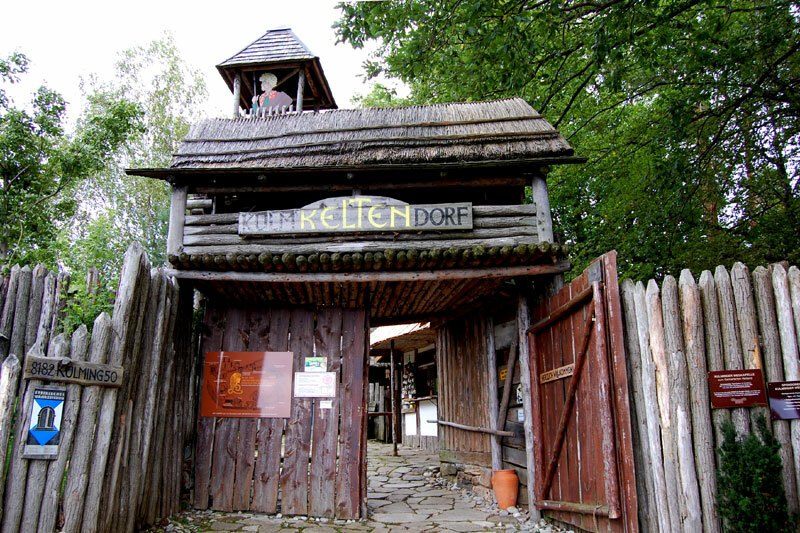 This hidden gem of an outdoor museum is lot’s fun for both the kids and the grown-ups, and well worth a detour. For more info see the museum website. OK, a small sign in the in a flat field near Apetlon might not be not the greatest experience. 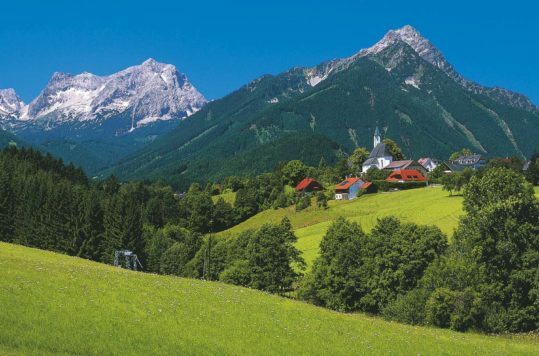 Nonetheless, Austria is mostly famous for the fantastic hiking and skiing in the Alps. 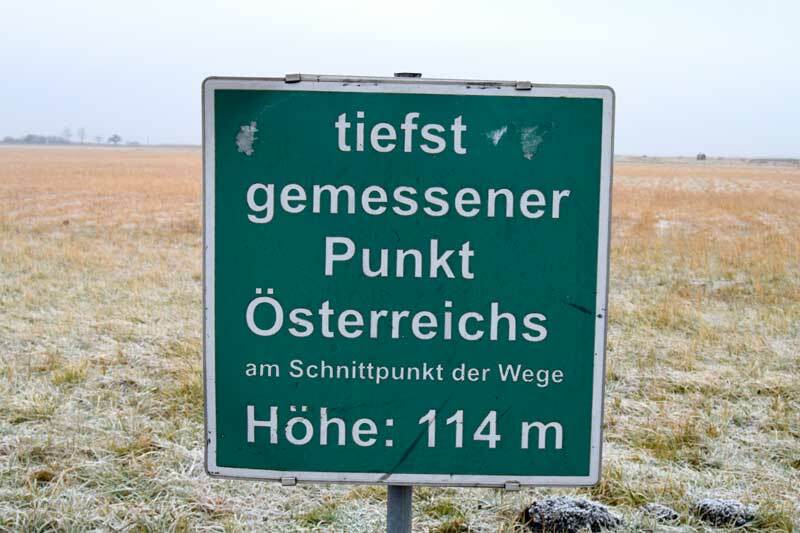 Nevertheless, there are also a few flat spots in the country, such as in the eastern most state Burgenland. I bet far less have taken a selfie at this spot, than on the highest point in Austria, the Grossglockner mountain. At 114 metres above sea level this is the lowest point in the country and makes it a hidden gem that definitely deserves a visit. 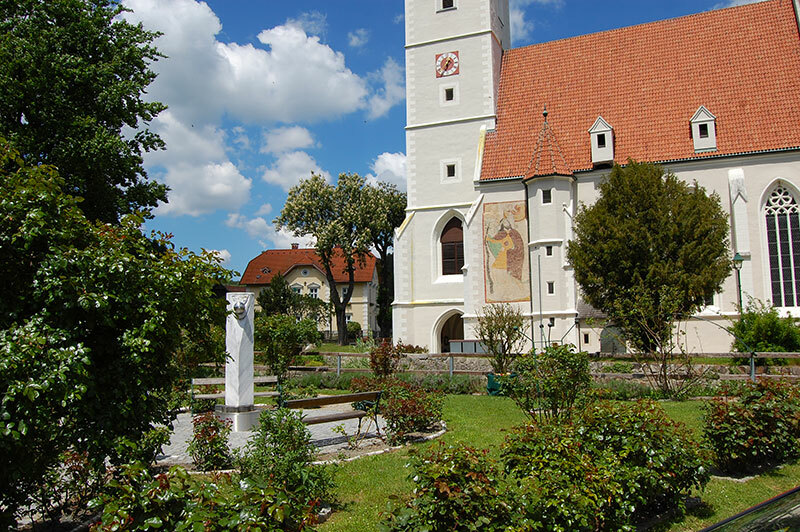 The surrounding steppe landscape and Austria’s largest lake, Neusiedler See offer lovely hiking, biking and boat trips. 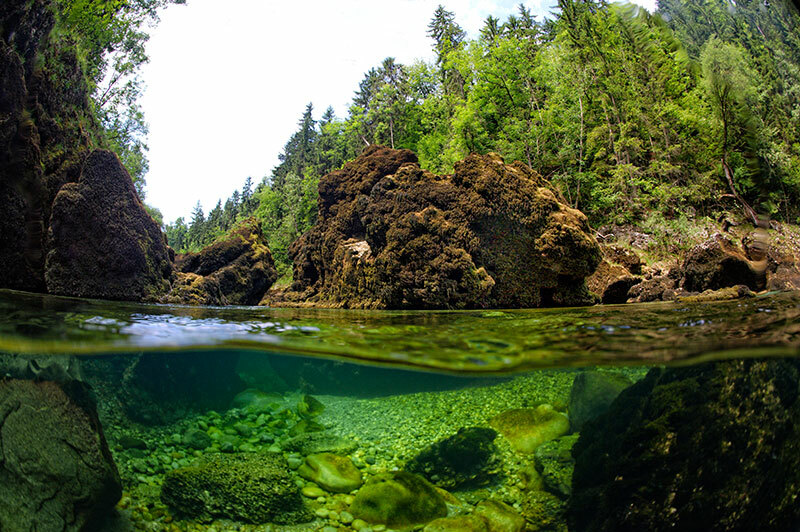 To enjoy ene of the most spectacular hidden gems of Austria you have to jump into a river. Of course wearing a neopren dive suit and a diving mask, fins and snorkel. 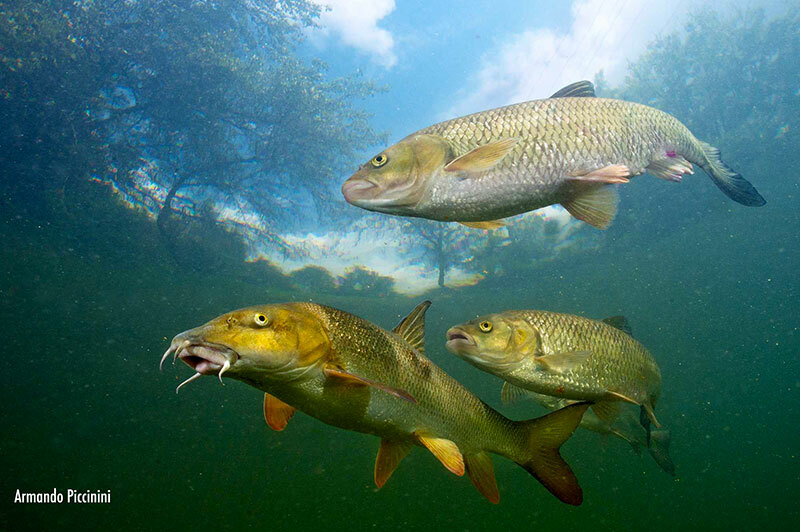 Fish and crayfish can be observed close up in an fabulous underwater world. 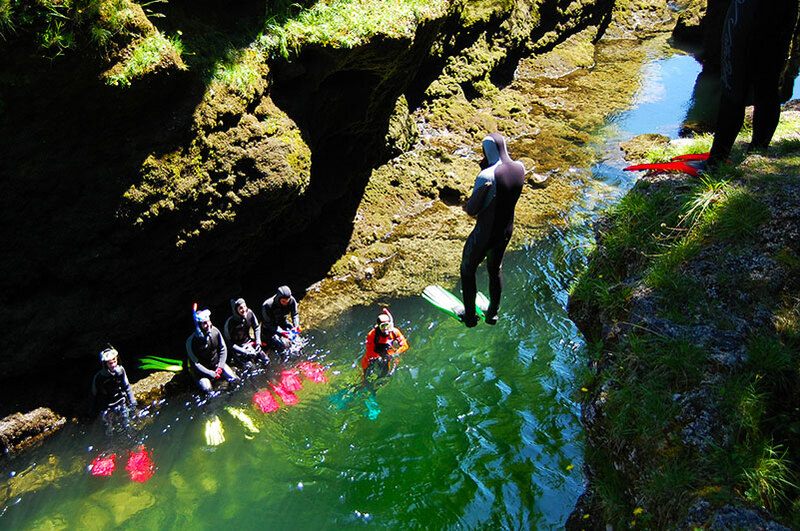 Snorkling the river Traun can be done by anyone who can swim.